The NPE is an association of authorities that together manage ten National Parks across England, which covers almost 10% of the whole country. This is naturally an area where mobile network operators have been keen to engage, as they work to extend their 4G (LTE) networks into increasingly rural parts of the United Kingdom. Deploying into such locations can be difficult, not least due to the remote nature of such places but also because there are often stricter rules about building anything that could negatively impact the natural beauty. On the flip side if operators are unable to build these networks then that can end up worsening the digital isolation of sparse rural communities. The new accord seeks to resolve this problem by requiring operators to minimise any adverse environmental impacts from what they build and supporting close cooperation with the National Park Authorities. Copies of the National Parks England and Mobile UK Joint Accord should later this morning be available to view via the National Parks England website section on publications and documents or Mobile UK’s website. But if you don’t fancy hunting for that then we’ve posted a summary of the key points below. • The MNOs will engage with NPAs at an early stage if there is a major phase of new site rollout in the area, and will undertake pre-application discussion with the NPA, in line with the Code of Best Practice on Mobile Network Development. • In proposing new site locations, MNOs will provide appropriate technical information to demonstrate to NPAs that an acceptable environmental and network coverage location has been located. • The MNOs acquisition agents/planning consultants will initiate appropriate pre-application discussions with the relevant NPA prior to the submission of any full planning application or prior approval application for new telecommunications sites within a National Park to explore acceptable environmental and network solutions, in line with the Code of Best Practice on Mobile Network Development. The information provided should include any alternative sites that have been considered with an analysis of why they have not been pursued. • As part of any pre-application discussions, the NPAs will aim to provide certainty of timescales for decision-making on planning applications, for example using Planning Performance Agreements. • Options to minimise adverse landscape effects in National Parks should include consideration of mast-sharing, site-sharing, equipment-sharing, and any other technical advances where this would provide the required mobile coverage and represent an acceptable environmental solution, noting that the coverage requirements of MNOs will differ (due to spectrum usage, existing site location and technologies employed). If a mast is to be shared, it is understood that the antennas may need to be separated and this may lead to a taller mast or more substantial mast and additional equipment housing and associated equipment. • The NPAs and MNOs will be open to consideration of alternative designs, innovative proposals and network solutions, or mitigation measures to facilitate network deployment in an environmentally sensitive manner. • Both parties will seek to find solutions in recognition of the fact that many of the harder to reach rural areas are, as well as being environmentally sensitive, also less attractive to invest in financially. • The NPAs and MNOs will discuss from time to time, any plans or aspirations to remove or repurpose redundant infrastructure on the basis that it no longer has a viable use. • National Parks England and Mobile UK will work together to share and promote good practice in design solutions, including through discussions with Government on the Code of Best Practice on Mobile Network Development. • To ensure that the objectives of this Accord are achieved, the signatories will meet once a year to monitor progress. 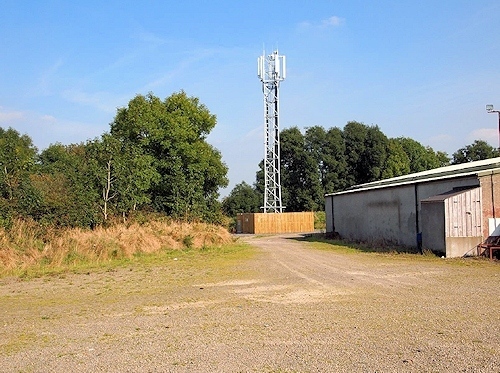 It must be possible to enable national roaming between networks in rural areas with low population densities, quite apart from reducing installation costs this would greatly reduce the need for multiple masts and equipment duplication. I believe this happens routinely in rural France now, so why not here? Vodafone and O2 created a joint venture Project Beacon to share masts by the end of 2017. EE had a deal to share their masts with Three but that resulted in issues. If Ofcom impose wholesale access then there is a reduced incentive for capital expenditure on new masts. Hopefully In the national parks and remote communities more sharing will be successful. Just paint them camo green and put some bird stickers on them, that will shut the hippies up.